Alcan Highway Stories that will capture your imagination, by people who have driven and experienced this incredible highway. 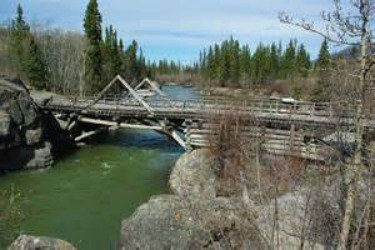 Do You Have A Story About The Alaska Highway? 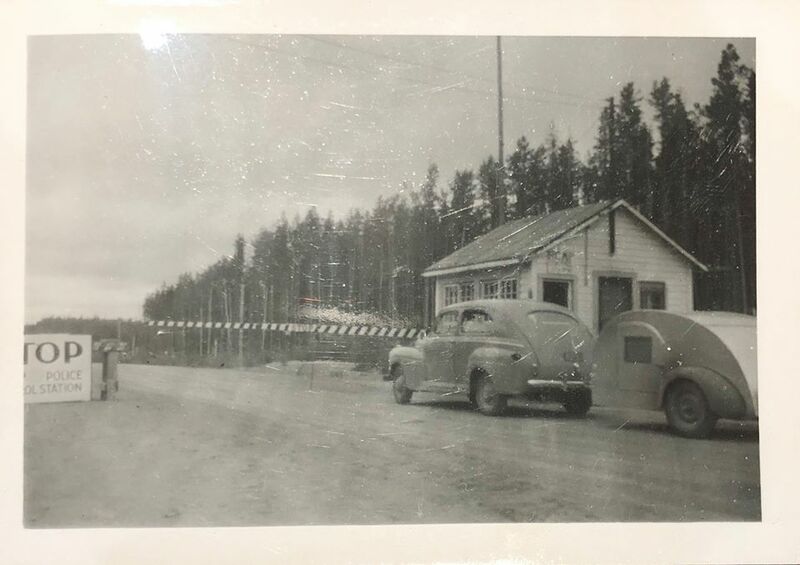 While the Alcan Highway is still a long trip today, it's now a much easier drive than it was when the road was nothing more than a barely two lane gravel-covered dirt road that curved around all over the place. It's all paved now, and traveling it's 2,000 plus miles isn't much like it was "back in the day." As cars and trucks passed you on the other side, gravel flying in the air caused many a broken headlight and cracked thousands of windshields. Flat tires were a common, everyday hazard. 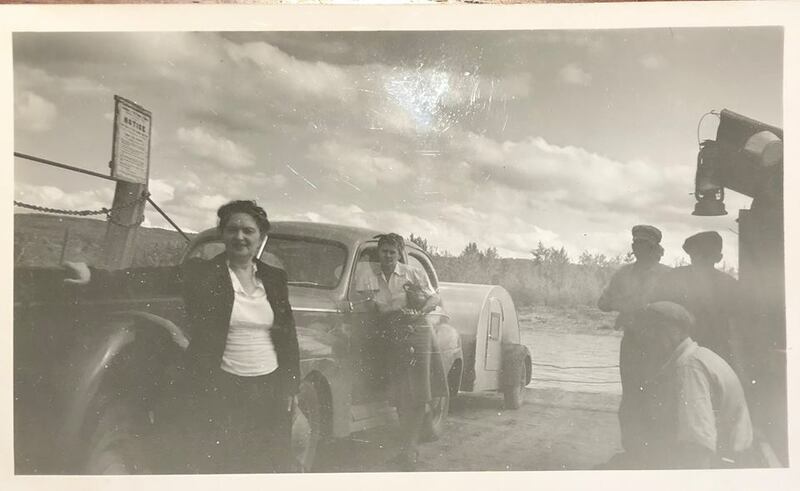 But looking at the early day Alcan travelers in the photos above, you can see that the difficulties and trials encountered in the highway's early days, did not keep those pilgrims from their goal of reaching Alaska. The rough road that greeted travelers when the road first opened, was much different than today's modern, paved highway. But it's still a long journey. 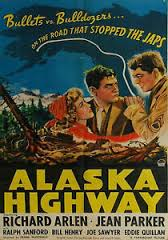 Because the Alcan was constructed during World War II, a movie was produced about the highway's construction titled "Alaska Highway." The movie starred Richard Arlen and Jean Parker. You can watch the entire movie right here. Just turn up the sound, sit back and enjoy Hollywood's version of the highway. 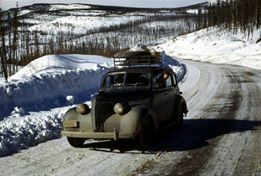 Construction of this incredible road began during World War II because the United States needed to be connected to Alaska. The only way to do that was by building a highway through Canada. As you might imagine, construction of the highway was incredibly difficult. 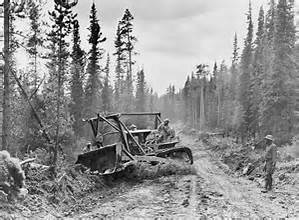 Then, in 1942, the Alaska Canadian Highway was completed. But the highway didn't open to the public until around 1947. A small bridge takes you over a creek. The highway travels over creeks, rivers and around countless lakes. 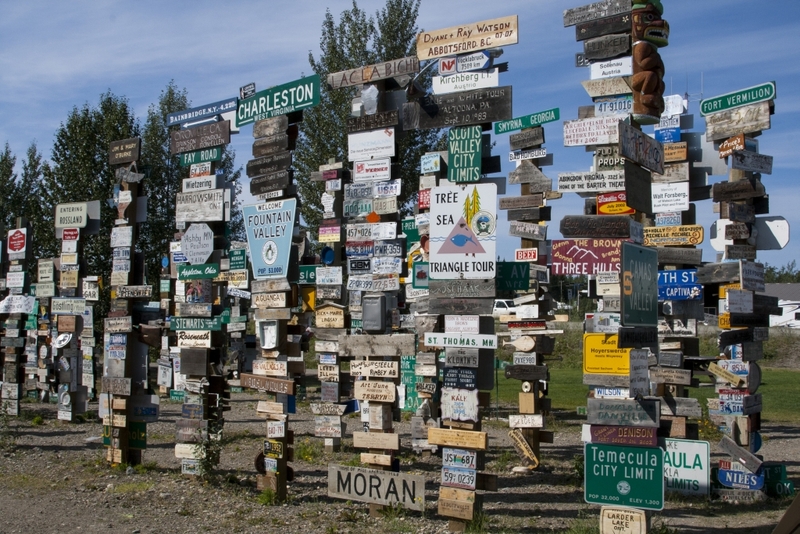 Thousands and thousands of travelers have stopped to rest at the Watson Lake "Sign Post Forest" to contribute to this fascinating rest stop along the Alcan. If you really take the time to look, you'll spot lots of interesting signs and license plate from all over the world. 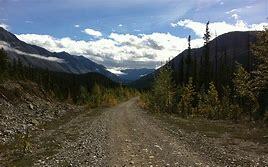 For years, the Alcan was just a barely two lane dirt road. In the summer it was dusty, and when it rained it turned into a slick slim. In the winter it was covered in ice and snow. Today, the highway is more like a very long Sunday drive. It's paved and there are lots of places where you can pull over and get gas for your car, get breakfast, lunch or dinner and stay for the night. 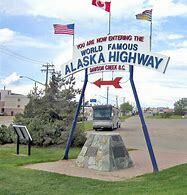 On the Canadian side, the highway officially begins in Dawson Creek. 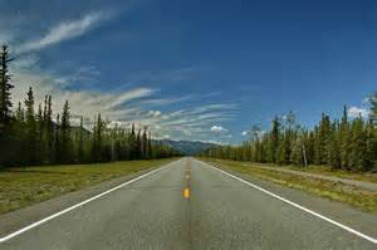 The Alaska Highway, also known as the Alaska Canadian Highway, or the "Alcan", actually begins in Dawson Creek, Canada and ends at Delta Junction, Alaska. It's an incredibly scenic drive through beautiful forests, valleys and over majestic mountains. The road also passes by huge, crystal clear lakes and follows along swift moving rivers. There are also plenty of towns, lodges and beautiful places to spend the night in your RV. When you take the drive today, try to imagine when it was just a thin, two lane, gravel-covered dirt road. Then try to imagine how difficult it was for the many thousands who drove the highway back in the day. Back then, service stations, auto repair, restaurants and lodges weren't as plentiful as they are today. So when you had a breakdown out in the middle of who knows where, you were totally at the mercy of others who were driving the road. Fortunately, drivers would stop to offer assistance. Yesterday and today, the highway was and is an incredible journey. 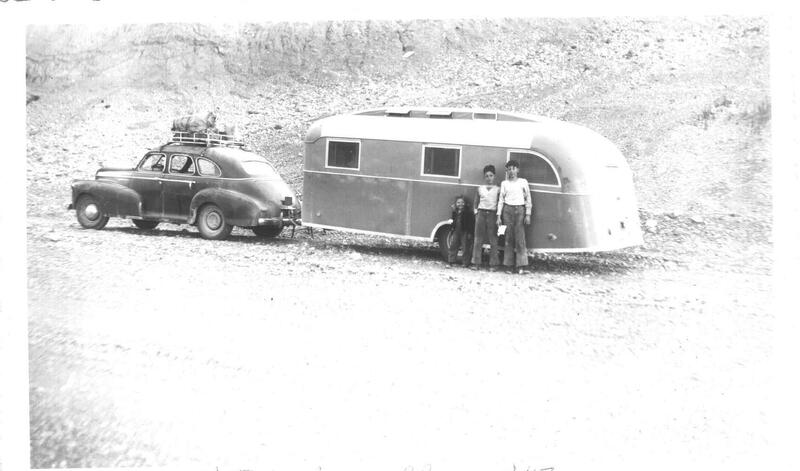 Adults, who as children, took the journey with their parents back in the day, still recall the amazing road trip and have stories to tell. Did you drive the Alcan Highway? Post your story so we can share your experiences.